With all the effort that goes into growing your own beautiful cannabis, it’s a shame to think that you might be throwing away your leftover plant material instead of making delicious hash. While many of the extracts you purchase in stores are created using solvents and industrial grade products, a lot of high-quality hash on the market is made using age-old solventless techniques that anyone can do at home. The concept behind creating hash has been around for centuries and simply involves separating trichomes from cannabis plant material. The process has become exceedingly complex over the last decade but there are numerous low-cost ways to create your own. Here are some simple solventless methods and products to get you started on making your own terpene-rich hash. Technology for rosin pressing has taken off in the last few years in a response to the growing concern for impurities and risks associated with solvent-based extraction methods like butane hash oil (BHO) or propane hash oil (PHO). Instead of using flammable solvents to chemically separate trichomes from plant material, a rosin press utilizes heat and pressure to extract valuable resin from cannabis plant material or kief. 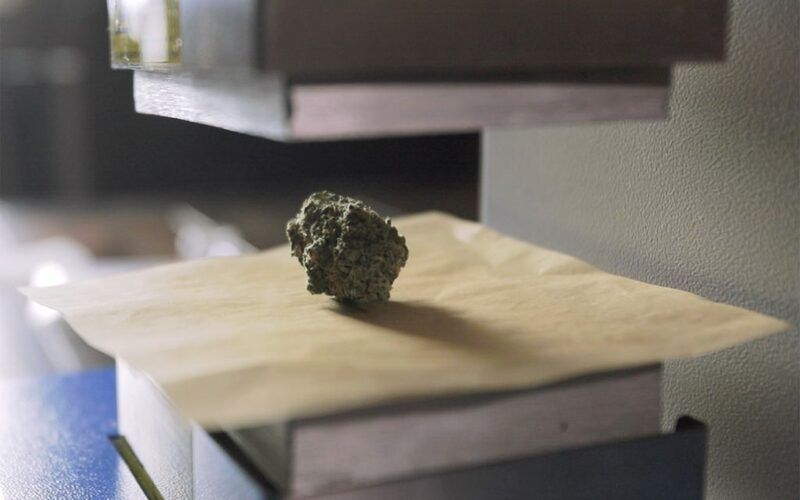 A primitive form of rosin pressing first came about when cannabis aficionados would use hair straighteners to apply heat and pressure to their favorite nugs to create a terpene-rich hash oil. Today, numerous companies use technology to create presses that allow consumers to customize temperature, pressure, and duration to get an ideal rosin product. It’s common for people to use flower instead of trim when making rosin because it’s more difficult and time-consuming to extract quality results from trim. If you are going to use trim, the workaround is to first make low-quality hash through the dry-sift method (discussed below) and then press that into high-quality rosin. Low-quality hash is high in impurities while high-quality rosin is low in impurities. There are a few downsides to rosin pressing. It takes a lot of product to produce oil and consumers might not find the return worth the investment. Also presses can be expensive, but after the initial investment, you can have fresh rosin whenever you want. For the cannabis enthusiast, this tried-and-true press can apply 12 tons of pressure to your flower. Built with steel, the Nug Smasher has two 4” x 4” heated plates that can handle up to 14 grams of flower in one press, making it ideal for homegrowers who are processing a lot of product. This manual press heats quickly and provides consistent results time after time and has a lifetime warranty. One of the simpler and more affordable options out there, My Rosin Press is about the size of a coffee maker and only weighs 13 pounds, making it easy to transport if you want to take it to a friend’s house. It has two 3” x 3” heated stainless steel plates that are operated with a manual lever, and it applies up to 6 tons of force on up to 1.5 grams of material. This press has a low input and is best for people looking to create small quantities of rosin with quality buds. Using cold water, ice, and agitation, you can create a quality hash at a very low cost. Cold temperatures combined with agitation snap trichomes off of cannabis plant material, which then sink to the bottom of your container because they weigh more than water. Because of the simplicity of the method, you’ll get a quality solventless hash with just a few screen bags, a bucket, and ice water. The quality of the product produced with this method depends on the quality of the material used. When done properly, you can create full melt bubble hash, one of the cleanest and tastiest hashes out there. It’s called “full melt” because it’ll turn to liquid when heated and won’t leave residue in your dab rig because of its low amount of impurities. Best of all, supplies needed to make this kind of hash are basic, affordable, and easy to get. The downside to this method is having to handle cold temperatures. After a fall harvest, you won’t want to stand around and produce tons of this hash with ice water in the dead of winter. Bubble bags allow you to separate trichomes from plant material by pouring the ice water mixture through a series of bags with finer and finer meshes. These simple pieces of equipment used to be quite expensive but are now readily available for as little as $30. Most kits come with at least four bags with different meshes, which is plenty sufficient. Based off of compact washing machines, you can put bubble bags into this machine and let it do the stirring and agitation for you. No more ice cold hands stuck stirring your product, which will save a lot of time if you are trying to get through a large amount of product quickly. This type of hash is produced when trichome heads are broken off and fall through screens as cannabis is sifted or handled. 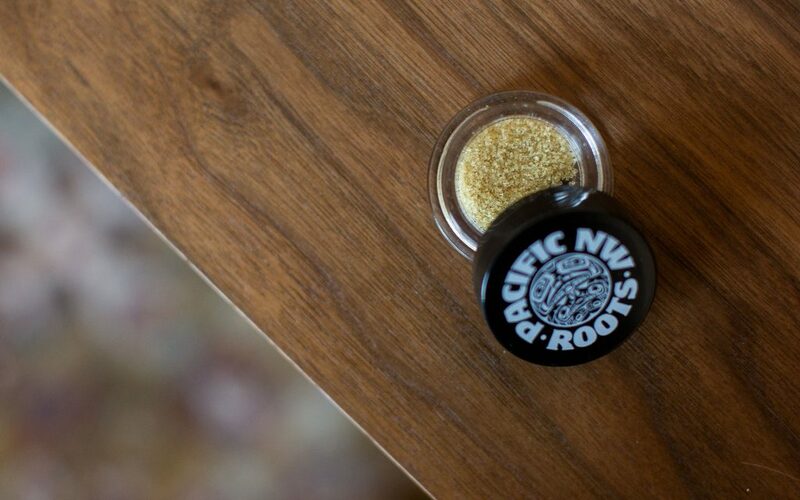 Considered to be lower in quality, dry sift or kief has a lot of contaminants, or more plant material. Producing a high-end dry sift requires patience, knowledge, and skill in order to successfully isolate the trichomes and get a pure product. 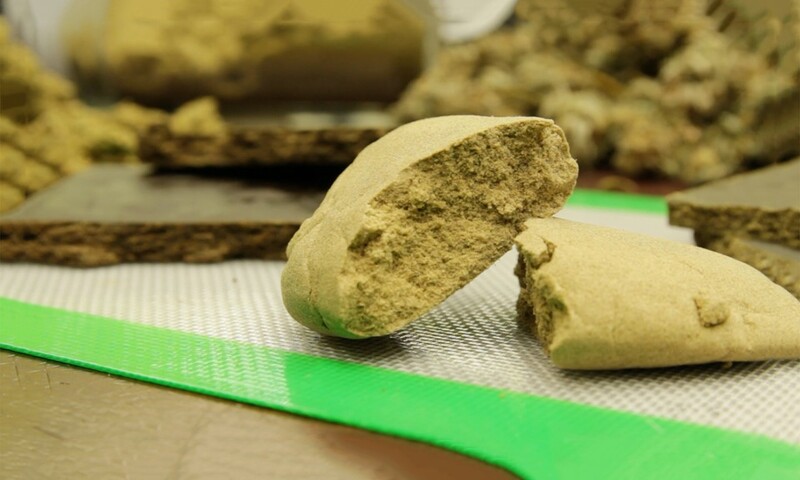 The final product can be used as a powder that can be sprinkled onto joints or bowls or it can be pressed to form a brick of hash that is easier to handle. You can work your raw material—either flower or trim—into these framed screens to produce kief. Most kits come with a 149-micron screen and an additional, thinner 75-micron. Start with the bigger mesh and then work down to the smaller mesh. You can get good quality with two screens, but if you want to go for top-shelf results, use an additional finer-meshed third screen of 45 microns to sift out even more impurities. A trim bin is excellent for catching trichomes while you trim cannabis. The tray has a 150-micron screen that will do a fine job of dry sifting for the first step, but you’ll want to process the collected kief through another screen or two with finer meshes for a higher-quality product.